iwoly V600 vacuum cleaner provides a high-powered vacuuming with 600W, 15Kpa powerful suction which make it easier than ever to clean up, down and all-around. It only weighs 4.8 lbs and is easy to maneuvers around or under furniture or even reach ceiling fans and vents thanks to its flexible swivel steering and the adjustable extension tube. HEPA filtration system can can filter out most of the larger dust, hair, pollen particles and the finer dust particles from the air. 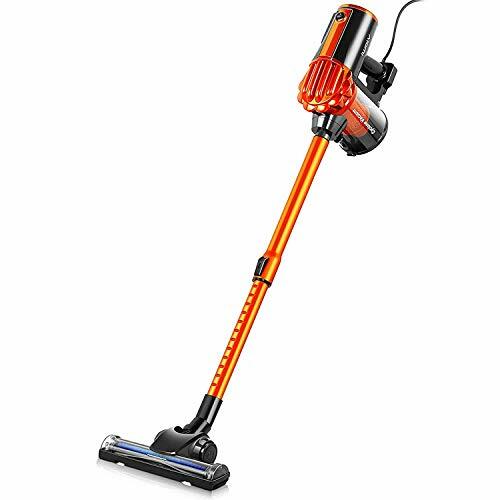 A great bagless vacuum cleaner for the hardwood floor, upstairs, corners and ceilings.